This year for our Easter Family Dinner, I decided to forgo the traditional ham dinner, and fix something Paul and I have been enjoying over the past year on our Keto Diet.....Lamb Chops. When I started thinking of what things to accompany the lamb, I decided to do mostly Greek-type side dishes, with a few others thrown in for fun. *We started the afternoon off with an apertif....an Italian Spritzer. (Hey, Italy is on the Mediterranean. This is a refreshing drink using the Italian liqueur Aperol, some Prosecco and a splash of club soda. There was also a slice of orange and a sprig of mint in the drink. It was very refreshing! I served some nuts and some Kalamata Olives with the drink. Nuts and olives, with the Easter Lily purchased at church in memory of Mom and Dad. *The main course was Greek Lamb Chops. This is my go-to recipe for preparing lamb chops...something I had never prepared until this past year. But this time I used the cast iron dutch oven to fry them in, and I think that was a good choice. That morning, I put them in a marinade of olive oil, lemon juice, oregano, garlic, salt and pepper. About 15 minutes before dinner I fried them in olive oil, about 3 minutes on each side, took them off the burner, covered with a lid, and let them rest for about 10 minutes or so. They were DELICIOUS!! The recipe is here. *I found a Tomato Salad with Avocados, Cucumber and Chickpeas with a Greek Lemon Dressing to start off the meal. I served it up in small bowls, and topped it with Feta Cheese. There recipe is here. *A couple of weeks ago I had bought a bag of green beans and thought this would be a perfect accompaniment to the meal. I looked through my recipes, and remembered saving this recipe and thought I would give Green Bean “Almondine” with Garlic and Bleu Cheese a try. You roast three bulbs of garlic before hand, and mix it with the blanched green beans and toasted almond slices and then add bleu cheese at the end. If you like those flavors, you will love this dish, which you can find here. *Our Keto diet does not normally include rice, because of the high carb content. But I splurged a bit today to include rice, because it just seemed like it would go together. (Maybe next time I will try this recipe with riced cauliflower for a lower carb version.) I found a Lemon Rice recipe, here, that was made with basmati rice, garlic, lemon, dill, oregano and cumin, with some feta cheese added at the end. I could have sat down and eaten the whole bowl! The recipe is here. It*I did go keto with our dessert. I found a delicious Keto Strawberry Trifle, with the cake made with almond flour and coconut flour. Again, a wonderful light, not too sweet dessert to end the meal. This yummy keto creation can be found here. *One thing I was going to make, but time got away from me, was some Low Carb Naan bread, and serve it with hummus. I will try it sometime this week with another meal Paul and I will share. I will let you know how it comes out!! *Our family coming together for Easter Dinner was a much needed comfort in the midst of a very difficult week for our family. Between dealing with my brother and sister-in-law saying goodbye to a pet dog, my sister saying goodbye to a pet cat, Molly and Travis learning the news on Easter Sunday that Travis’ grandmother had passes away (it was also her birthday), and with Paul’s dad’s health continuing to fail, the comfort of knowing death has no sting, because of Jesus, the Risen Savior, the feeling of being surrounded by family in our home, and good food and good drink, and all this, after a particularly spirit-filled and touching church service, was the perfect recipe to celebrate the Resurrection of our Lord.....the Lamb of God....who takes away the sins of the world. *Last night I gathered with some of my P.E.O. sisters and their guests at French Gulch Farm and Garden for an awesome dinner. We had a wonderful time, and the food was delicious. They have a new indoor facility that can accommodate up to about 60 people for a sit down meal. It is cozy, and worked perfectly for our function. If you need a place to host a dinner, check them out. It was such a great time. Thanks so much Debby Scudder and Tisha Whatcott for making the evening so special!! *My day was spent preparing things for the above mentioned dinner. 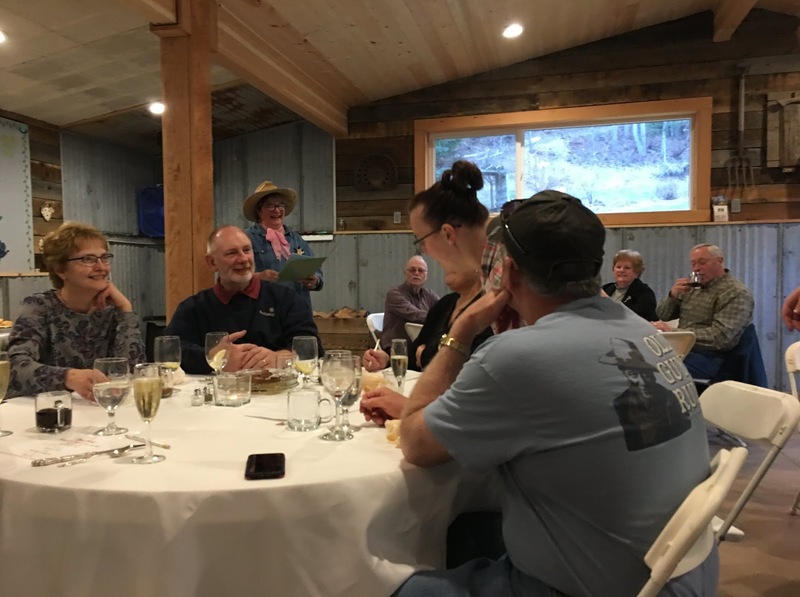 It was fun to work on some “Cowboy Poetry” to share (the dinner had a western theme), and do some other little touches to help make the evening special. *During the afternoon Cosette called with some great news!! She applied for a job in Moscow at the University Inn. She had an interview on Monday, and they called her back for another interview this morning. Soon after she received a call saying they would like to offer her the job as an Event Planner/Administrative Assistant. Cosette is really good with people, and customer service, and I think she will really do well at this position. She will begin her new job in a couple of weeks. *Paul’s dad Burt remains in the hospital at this time. I talked to Paul and Zoe this evening, and it was not an easy day. I am so grateful for our loving family and friends near and far that are surrounding Burt and our family with prayers, love and support. It makes such a difference in times like these. *Paul headed down to Meridian today with three of his students for State Speech Competition. When he arrived in Meridian, Zoe came and picked him up from the hotel, and they found out his dad had been taken to a local hospital, so Paul was able to go see his dad and visit with him. My world view does not call the fact that Paul was able to be in Meridian at the exact time his family needs him there a coincidence. I believe God, in His infinite grace and mercy, allowed Paul to be there when he needed to be there. And I am so thankful it worked out this way for Paul, for Burt, for Pat, for our daughter Zoe, and for the whole family. *I got caught up on my sleep today, and decided, since I am on my own for a couple of days, that I would get some take out for dinner. I just really didn’t feel like cooking. *Teaching children in China has got me curious to find out more about the country. I am really rather ignorant about a lot of things to do with China. I did a little research, and found a fascinating documentary on Netflix titled Ai Weiwei: Never Sorry. As the film’s website states, “It is the inside story of a dissident for the digital age who inspires global audiences and blurs the boundaries of art and politics. First-time director Alison Klayman gained unprecedented access to Ai while working as a journalist in China. Her detailed portrait provides a nuanced exploration of contemporary China and one of its most compelling public figures.” His vision and the way he forms his art reminds me some of the films I watched on Dale Chihuly at the museum of his artwork in Seattle. Both of these men have these incredible visions of what they want to express through their art, and use other people to help them create their large pieces of art. I find this type of vision incredible. *My prayers continue to be said today for those I hold dear. Thank you to those who are praying. 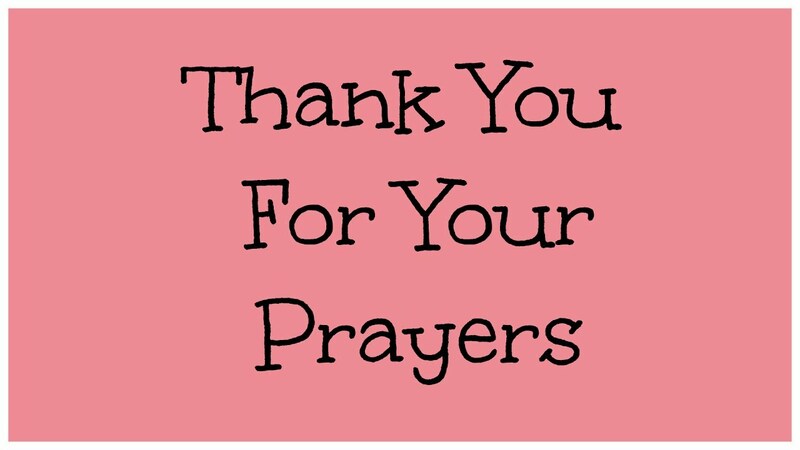 We so appreciate your prayers. *Happy Sibling Day!! I am very fortunate to live in the same town as my two other siblings. Most of our lives, since I was in junior high and high school, did I live in the same town as one of my siblings. But over the past years, both have moved back to our hometown of Kellogg, Idaho. In fact, they are next door neighbors. 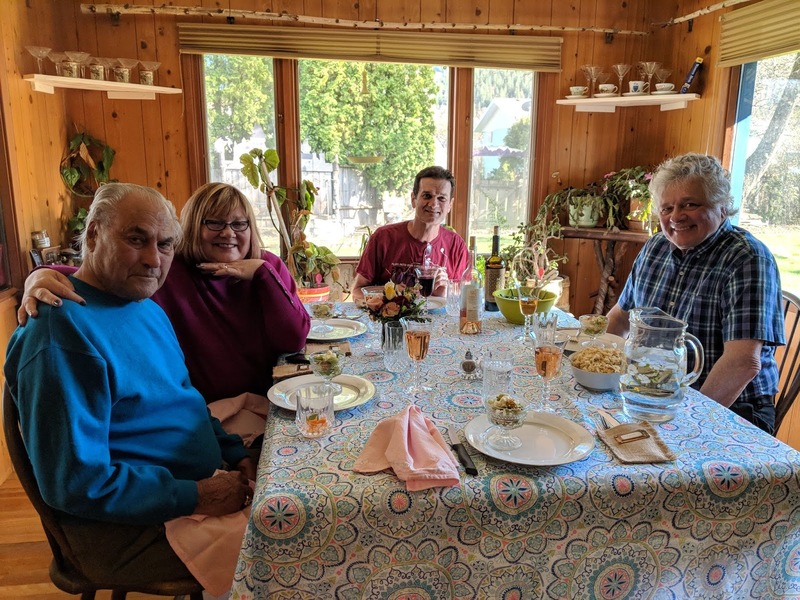 And we have moved into a nice rhythm of seeing each other at least once a week (most weeks) as we enjoy our weekly family dinners together, each taking our turn to host. It has been a wonderful time of re-connection with one another. 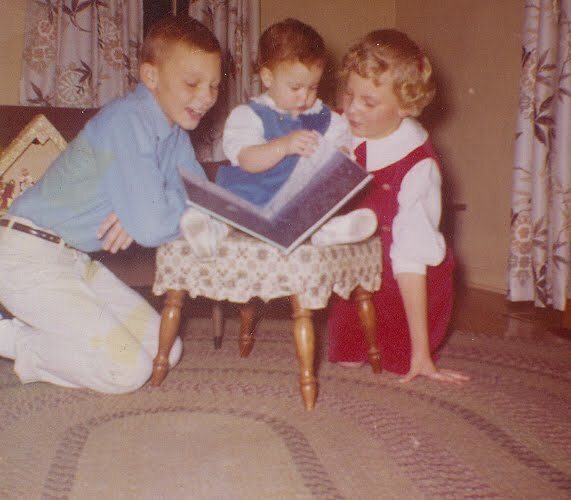 Now that the weather is getting better, I am hoping a sibling outing is sometime in our future!!! *I got two big items taken off my “to do” list today. Do you ever get other things accomplished that maybe aren’t as important, but you do them because you don’t want to tackle the big, complicated tasks that at on your list to do? That is what has been happening today. But today I tackled two of the looming tasks. One was creating about nine bank deposits to go to bank. The other was writing a “Cowboy Poem” for a dinner I will be attending Friday night. Once I sat down, and buckled down, I got them done. Whew!! Now what projects can I get done so I don’t have to do my taxes? Wait, I think there might be a deadline coming up for those!! I can’t put them off much longer!! *Paul and I enjoyed a nice evening together before he heads to Meridian with three of his speech students for the State Speech Competition. God’s timing couldn’t be more wonderful, as Paul will be able to be with his dad and mom and all his siblings as they gather together at his parent’s house on Thursday evening. *I hadn’t been on the computer much today, so I was unaware of the flooding happening in the towns of Moscow and Pullman. 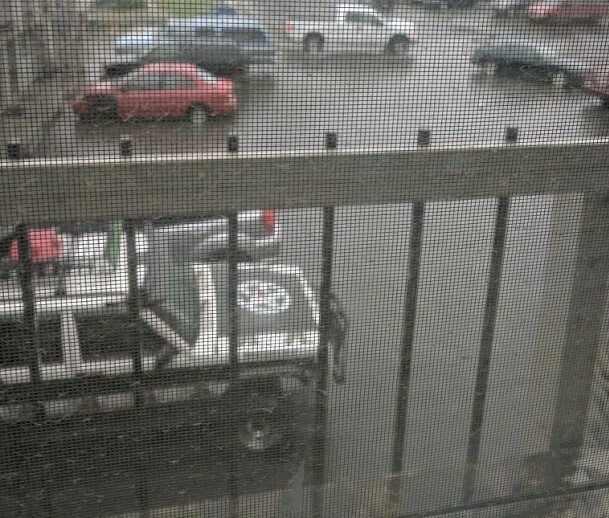 Molly sent a picture of their parking lot at their apartment complex, and it was flooded. But fortunately the elementary school she works at has had no flooding. *Later Cosette reported she was working at McDonald’s around 10 p.m., and all of a sudden, water started coming up through the drains in the floor. Yikes!! They had to shut down the store and spend some time cleaning up the water, sweeping it into some of the other drains. Cosette said it was not fun at all!! *I saw my sorority at U of I, the Tri-Delt house, did get some flooding in the basement. That is never fun, either!! I don’t think I ever experienced flooding at Delta Delta Delta when I was in college there. But I was awaken by an earthquake while live there!!! *Silver Valley Dental Care was first on my list of places to go today. At 8 a.m. I arrived to get my teeth cleaned, and possibly have them set my crown permanently. The cleaning went great! But they took some X-rays, which then led to having a CT Scan of that tooth, and it looks like there are some things at the root level that may not look good. I am waiting for Dr. Bird to call back to see what recommends be done with the tooth. When someone mentions “root canal”, I laugh at the scene from The West Wing when C.J. Cregg had to have an emergency root canal, and she came back unable to speak. If she did speak, she sounded a bit like Elmer Fudd. *My prayers continue for my father-in-law, mother-in-law, my husband, and all my wonderful brothers and sisters in laws, to give them strength and love and courage and wisdom as they face the days ahead. 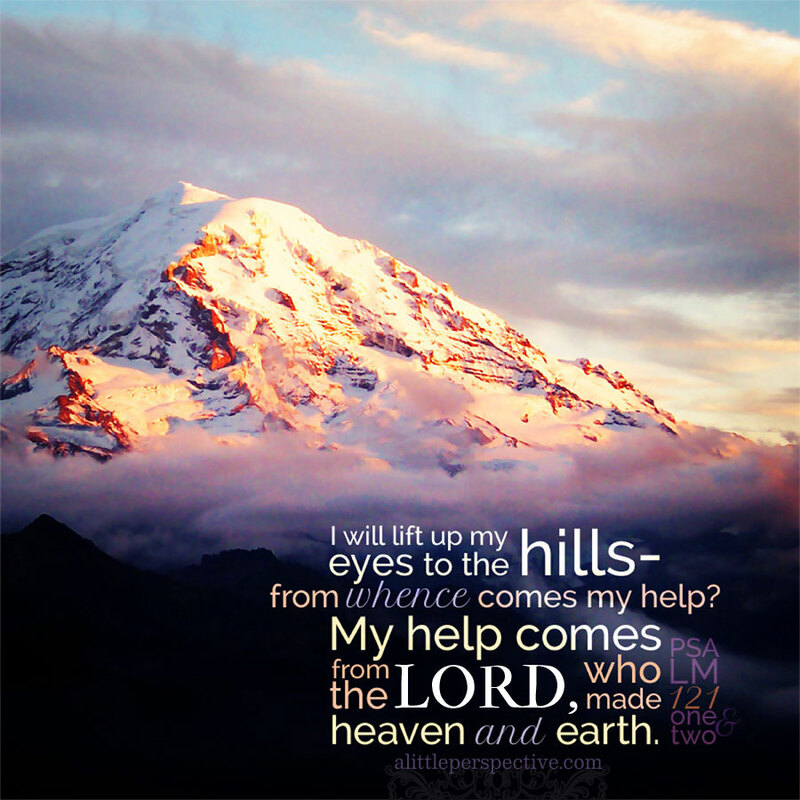 *Surely goodness and mercy shall follow me all the days of my life: and I will dwell in the house of the Lord for ever. *Thank you to everyone who reached out with messages, saying your were praying and sending good thoughts. It means more than you know. *I spent the morning waiting to hear results from Everett’s trip to the Emergency Room. Christy took him in this morning. It turned out he has an urinary tract infection that has been causing some of his problems. This is such good news, because that is treatable!! *Burt had a procedure done to put a stint in his liver to get it working better, and to get rid of the jaundice. Reports are the procedure went well. *I am glad I could be home today to wait for news, rest, pray, think and be comforted by the surroundings of my home. *The day ended today with two wonderful men in our lives battling some health issues. Paul’s dad Burt Roberts and my sister’s husband Everett. Both are men of God. Both are men of prayer. Both can use your prayers. *Paul and I had the most wonderful evening tonight. We drove over to Hayden to have dinner with our friends Kellee and Rex. We talked throughout the late afternoon and evening, enjoying conversation in the comfortable and inviting home of our gracious hosts. Rex prepared barbequed elk steak, which was SO delicious, as well as a three bean salad. Kellee made an awesome spicy lentil dip, and a cucumber/radish salad. It was fun visiting with Rex about my first cousin John Baugh. Rex and John both worked for logging companies in the Orofino, Idaho area and knew each other. It was nice to hear him talk about what a nice guy John was, and how much he had liked him. 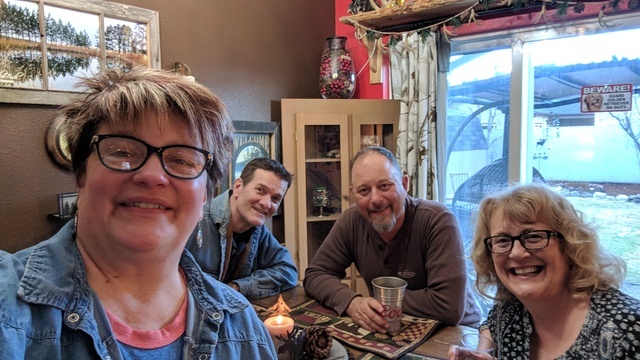 After Kellee returns from her trip traipsing around Europe and Africa, we look forward to getting together with them again. *Another fun part of the evening was getting snuggled by Kellee’s dog Koach. He is the sweetest dog, and you just have to love him. I mean, just look at this face!! *Today, Paul’s project was working on putting up new window blinds in our living room. It seems like forever we had broken slats on a couple of them, and they needed replaced. Now that I have new blinds, I think we need some kind of window dressing on top. I guess a new Pinterest board is in my future!! *Sometimes it is nice to not have a full morning schedule of teaching. I started out the morning with nobody booked for the 4 a.m. slot. Then I had a Student No Show at 4:30 a.m. as well. The advantage of this is being able to get a lot of your feedback done for the classes you have taught, and not spend as much time after classes to get it submitted. So I really didn’t mind only teaching four classes as opposed to my usual six. *Walking felt really good this morning. The weather was nice, and, again, it feels so good to get outside and stretch my legs after standing teaching for three hours. And there is just something about breathing in that fresh morning air that is very invigorating. We are very fortunate to live in a place that has such fresh air. I often see parents of my students in China wear masks on their faces, because the pollution is so bad where some of them live. I need to remind myself that everyone isn’t as fortunate as we in the Silver Valley to enjoy clean, fresh air. *Since I was able to get a lot of my post class time feedback done early, I was able to nap a little earlier today. I got up and got caught up on some things, ate lunch, and then spent some time prepping for tonight’s classes. 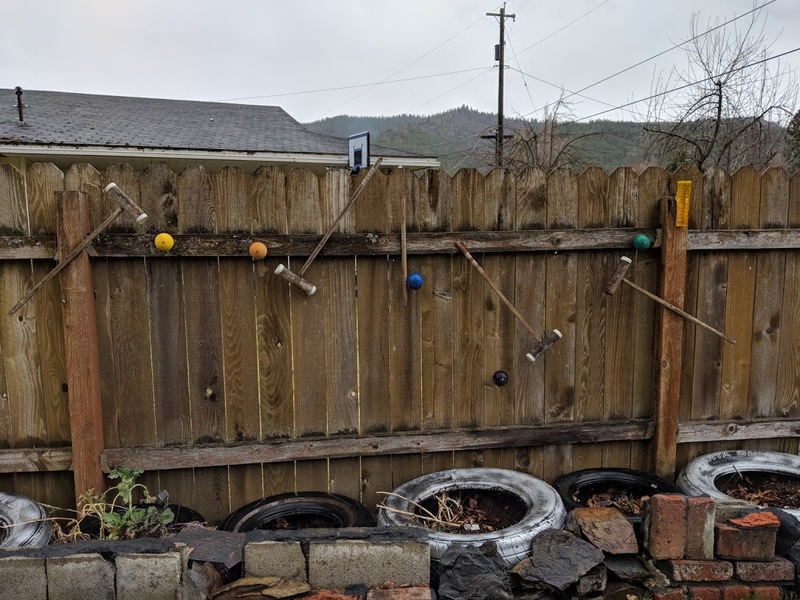 *Paul continues to transform the backyard in fun little ways. He had our croquet set out, and decided to mount in on part of our fence in the backyard....creating a kind of 3-D sculpture with the old croquet set. I love it!! (See photo above). *I think I had mentioned that I found out one of my students, Linda, plays the flute. I had her in class tonight, so I got my flute out, and played a bit for her at the end of class. I told her I wanted her to play for me during out next class. And I said maybe we could play our flutes together. She showed me some of the music she is working on. She has played the flute for five years. Her piece was pretty advanced. I would love to hear her play! I hope it works out during our next class.